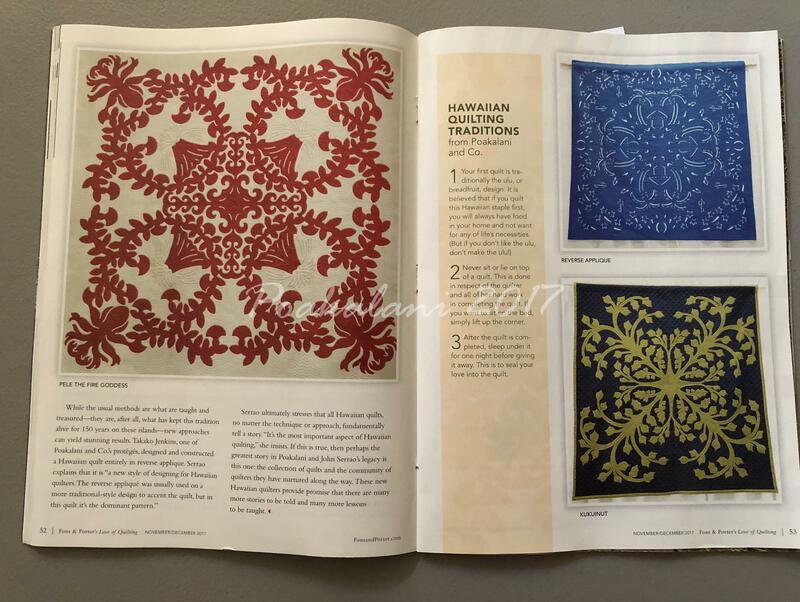 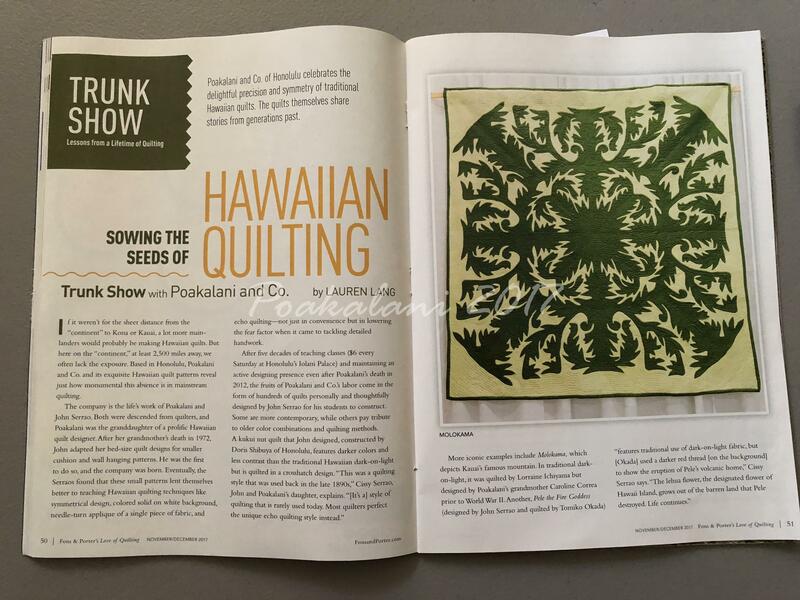 November 2017 - Hawaiian Quilting With Poakalani & Co.
One of John’s circle designs. 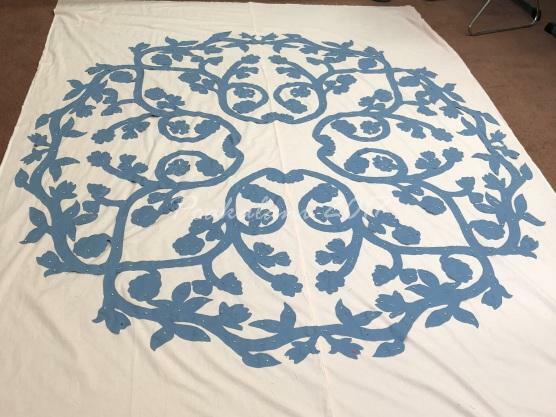 Not easy to lay out but when it’s all done WOW. 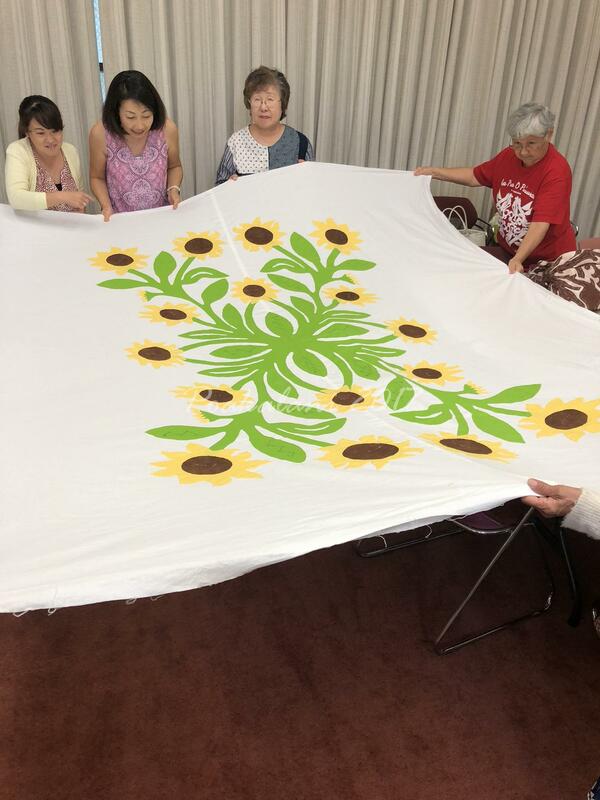 Great job Hiromi. 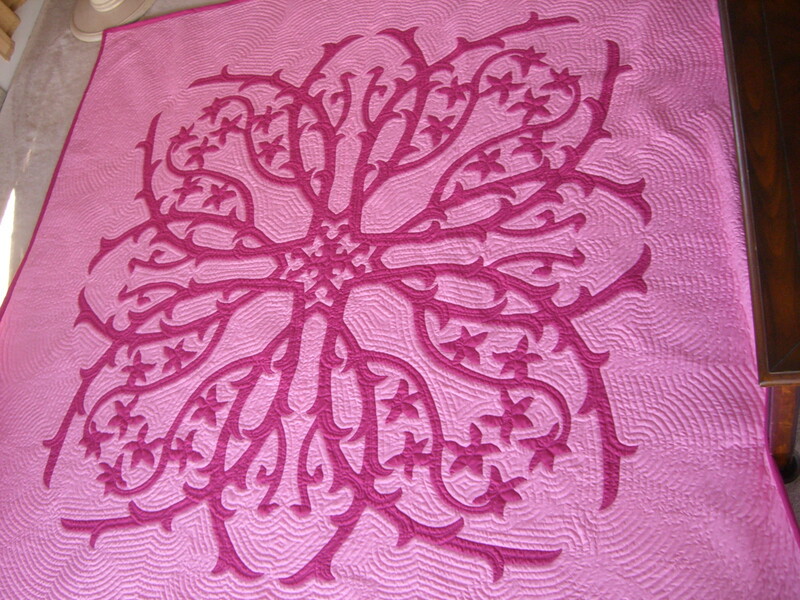 Plumeria Design. 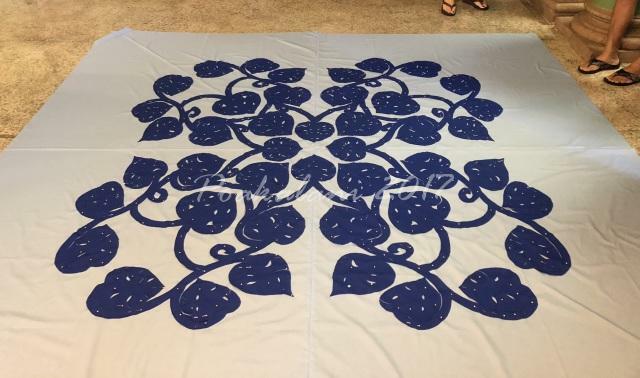 It is believed that under the Bodhi Tree Lord Buddah received enlightenment, but finding a Bodhi Tree in Hawaii is quite rare. 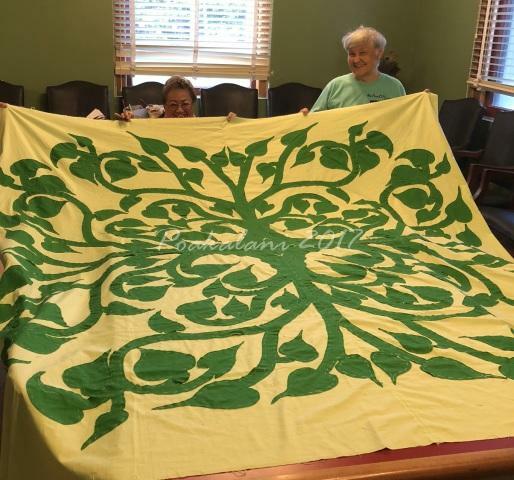 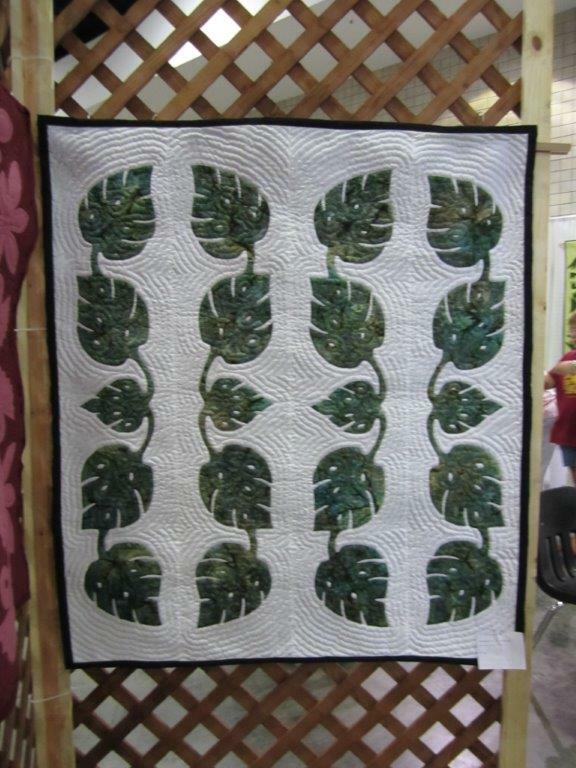 So John with creative assistance from Doris created this Hawaiian quilt pattern of the Bodhi Tree. 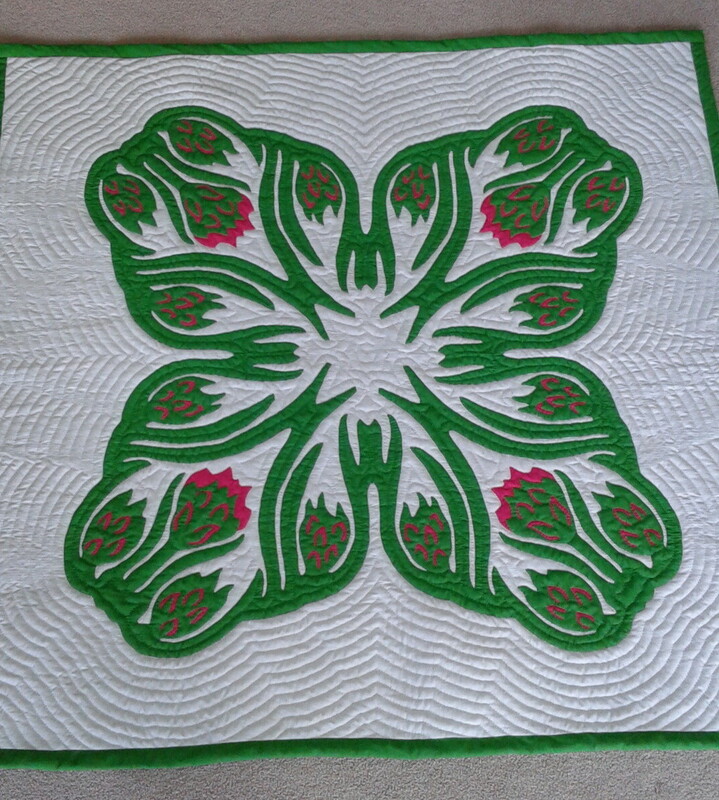 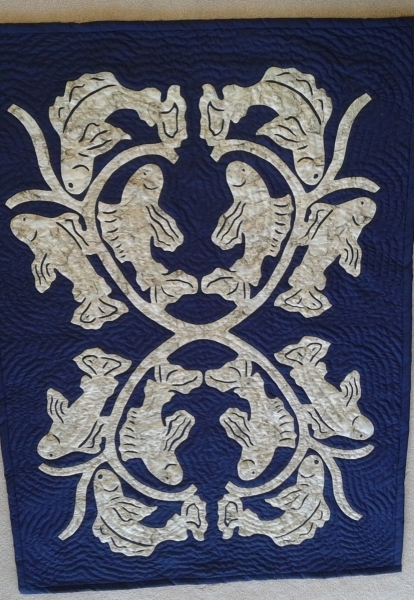 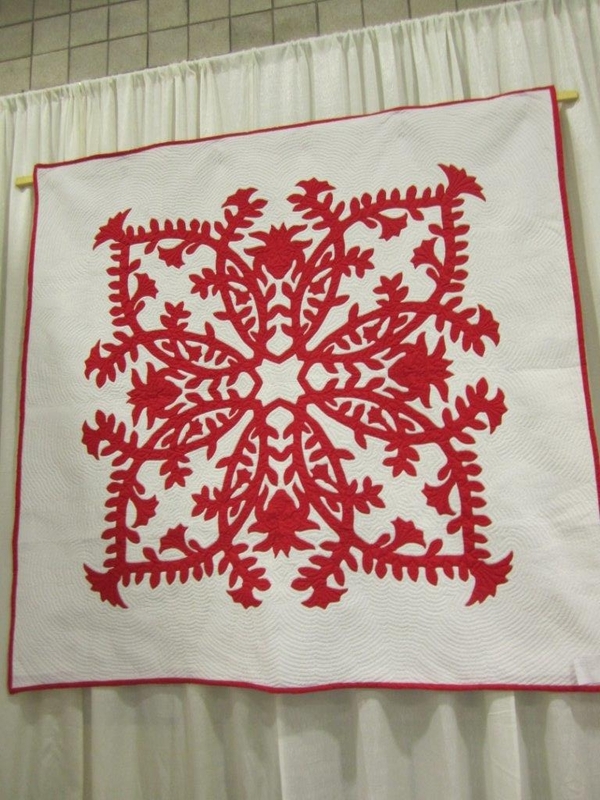 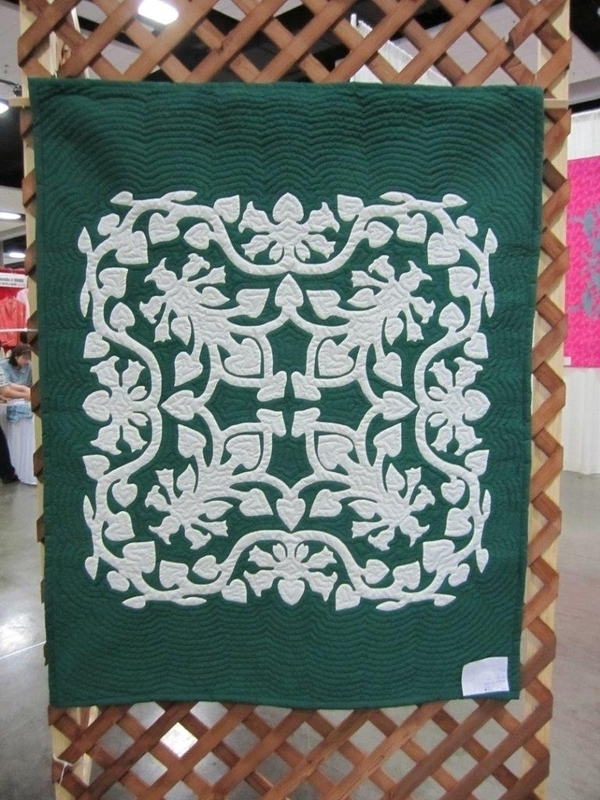 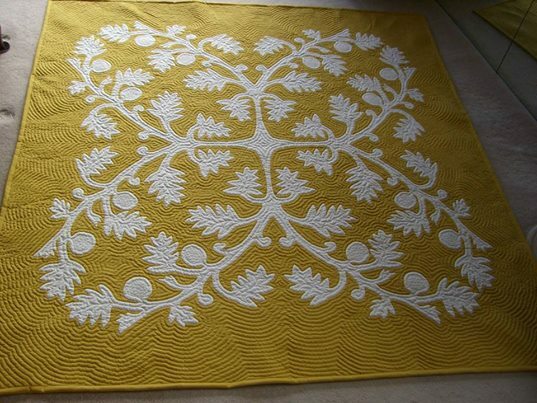 Doris believes that quilting this design will bring her peace and tranquility. 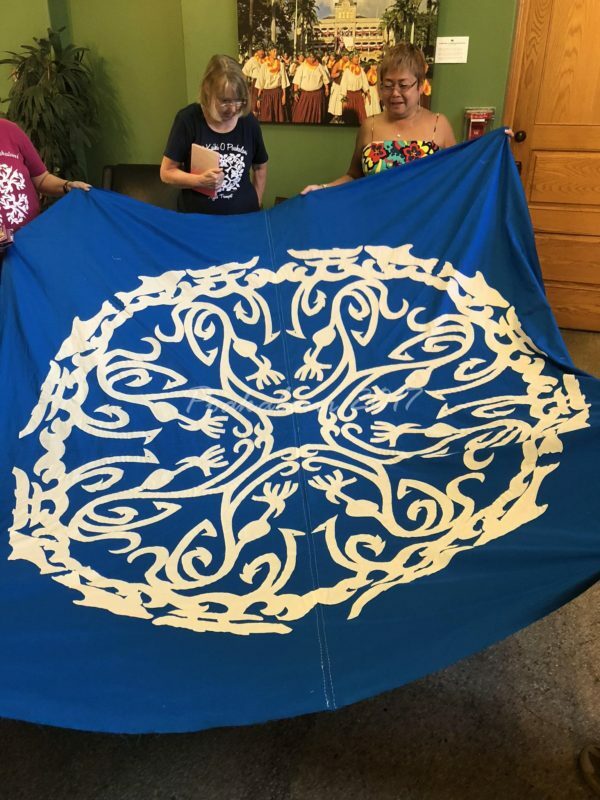 An amazing design for an amazing lady. 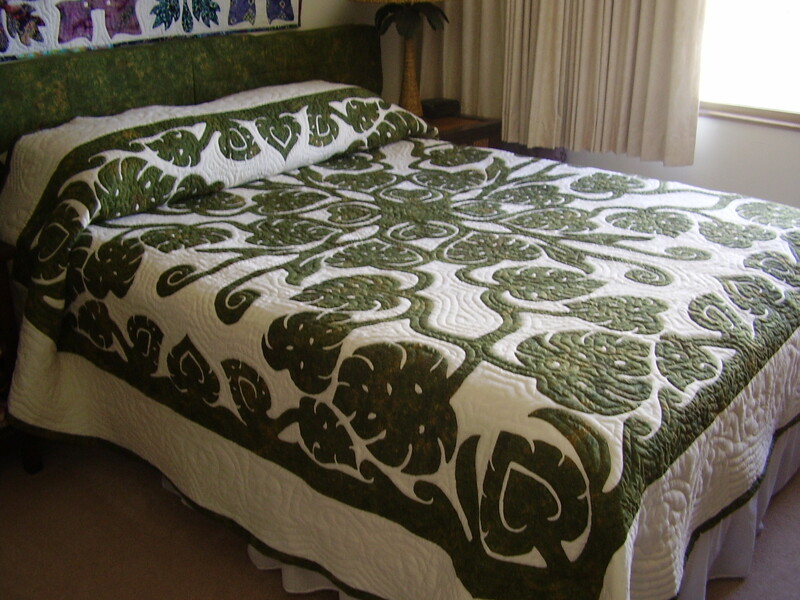 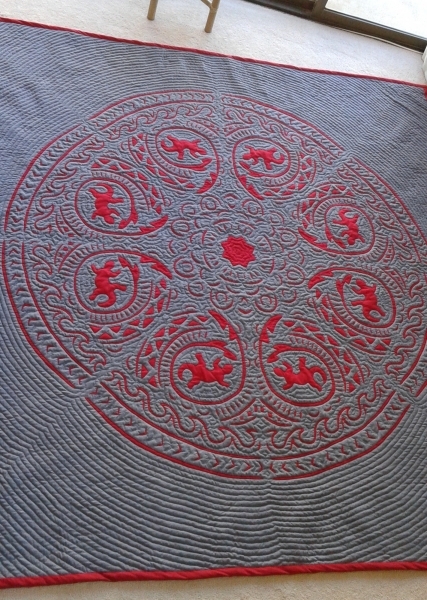 About a month ago John created a series of circular full size 90″ x 90″ Hawaiian quilt designs. 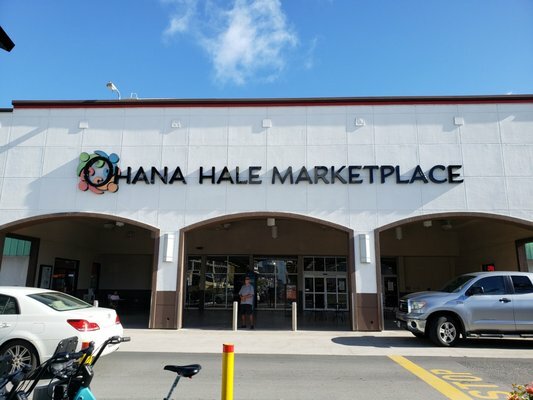 His intention was to place it on the commercial market for sale but after designing this particular circular Hawaiian Fish Hook pattern he said it’s already spoken for someone special. 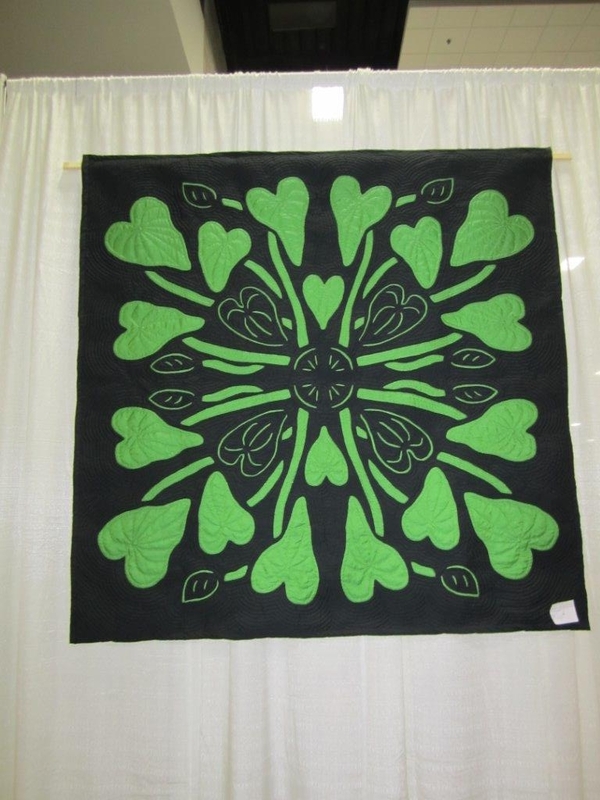 So when we were packing for the Yokohama Quilt Show he folded up the quilt pattern and packed it in his bag. 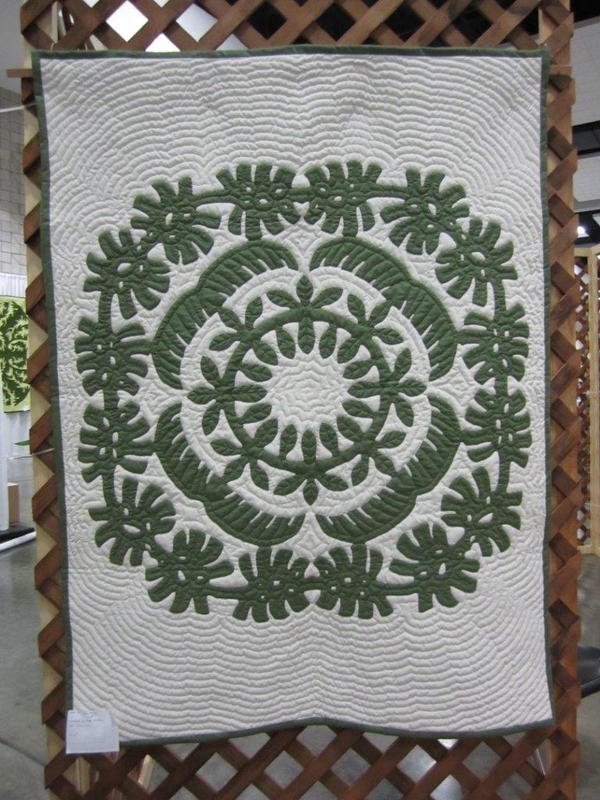 On the first day of the Yokohama Quilt Show John actually gave the pattern to one of our quilters FOR HER HUSBAND, who we nicknamed Lucky Charm. 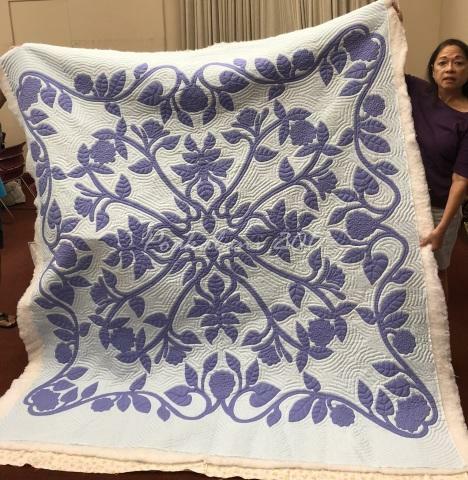 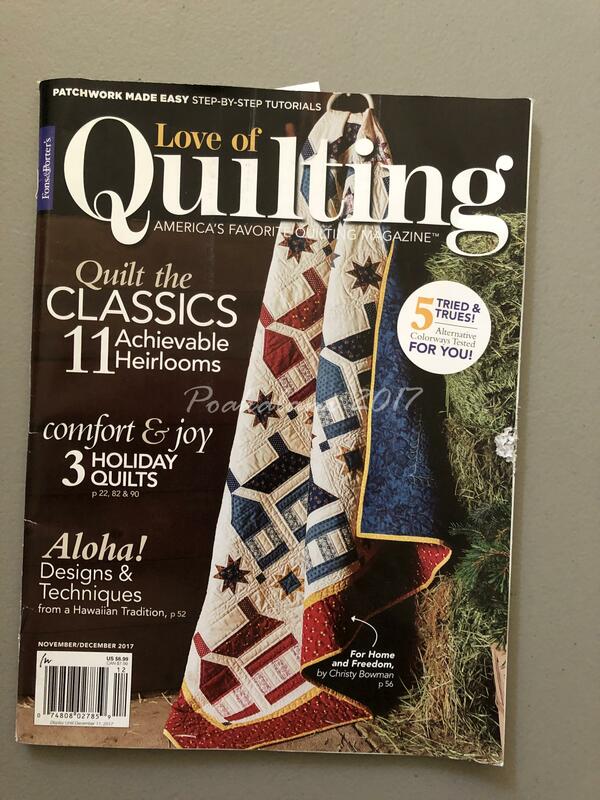 So unexpected and laughable because we knew she would be the quilter in this amazing gift. 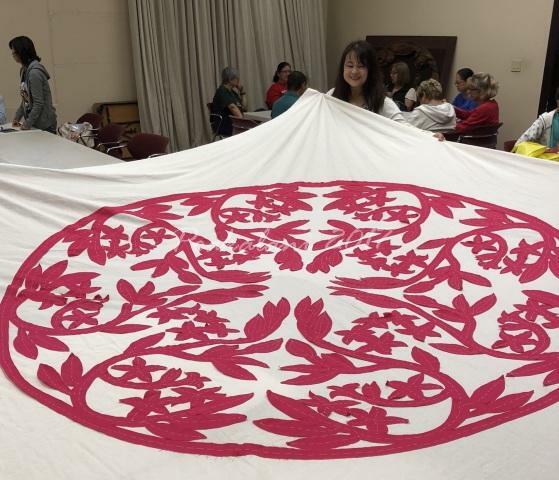 Yesterday at our Saturday quilt class at the Iolani Palace Mie showed us the beautiful design in fabric, cut and basted and ready for applique and what an amazing design it is. 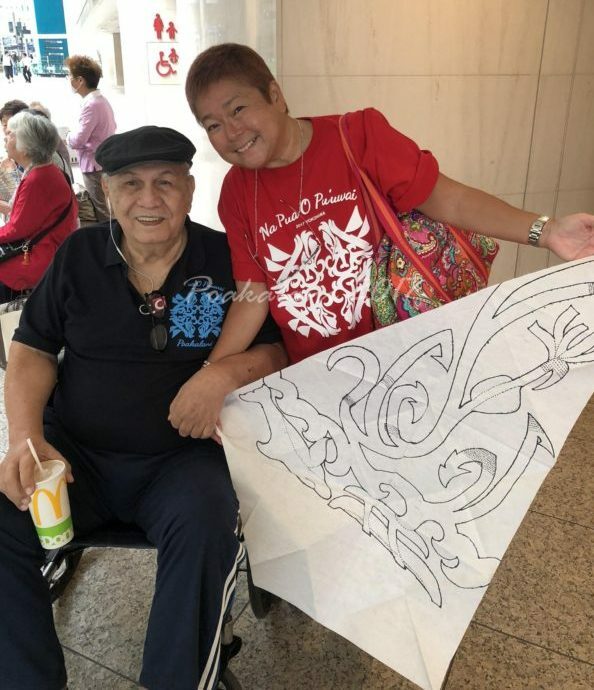 Her Lucky Charm Yoshi loves it and so do we.